of several LEIs per submission. All prices are subject to the statutory value-added tax. The LEI is issued on the basis of GLEIF requirements exclusively on a cost-covering basis. EQS annually assesses whether the prices are cost-effective and reserves the right to adjust these if necessary, but at most once a year. 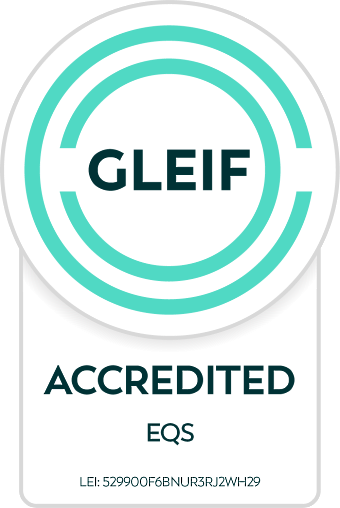 * All prices are inclusive of the current GLEIF fee, which must be paid to the GLEIF for each LEI initial application and each renewal of an LEI. Here you can consult the prices in your currency: INFOREURO. EQS would point out that this document is strictly informative in nature and does not give the users any rights.